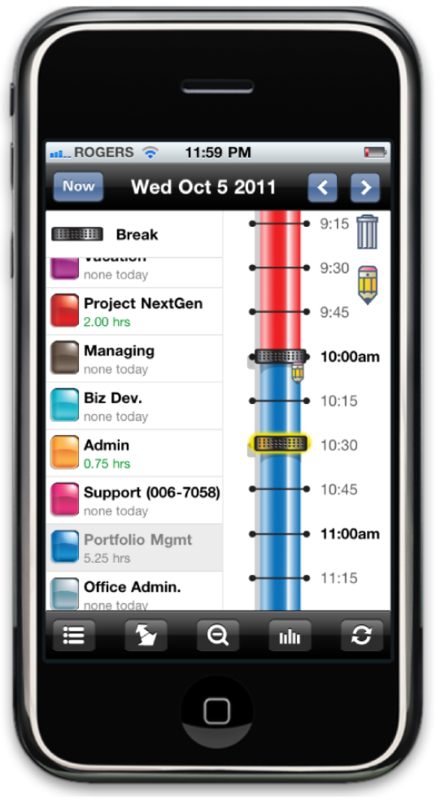 Using a familiar timeline and intuitive gestures, TimeLines makes it dead simple to record your time. Tap once to pick a code, tap again on the time you started working on that code. Don't worry about how long you spent on anything. Don't worry about starting and stopping (and correcting) timers or rounding numbers up or down. TimeLines does it for you. Easily make minor adjustments so your data is accurate. Clean, accurate time data. Captured simply. Visit the App Store now to get it!